Some would like to believe that this seal, found in the ruins of the Harappan civilization that existed in ancient India around 2600-1700 BCE, shows a yogi seated in a meditative posture. But we can’t be certain what the figure represents, much less make the leap to assuming it shows an early form of the god Shiva, the Lord of Yoga in the later Aryan civilization that dates back to perhaps 1500 BCE. We have no evidence that traces the postures taught in contemporary yoga studios worldwide into dim antiquity. What is certain is that word yoga is found in the Aryas’ sacred teachings—the Vedas, the Upanishads, in the great religious epic the Mahabharata, and other ancient texts. Eliade, Mircea. Yoga: Immortality and Freedom. “There is no more absorbing story than that of the discovery and interpretation of India by Western Consciousness.” So opens this book by the scholar of comparative religions Mircea Eliade, and he was uniquely qualified to write about that discovery. Published in English in 1959, it arose out of his own experience with yoga, which went beyond the academic to actual practice. It’s a problematic book, its language ponderous and its structure confusing. But it’s worthwhile if only because Eliade went beyond the typical Western scholarship of his era (he was in India in the 1930’s) in his attempt to synthesize everything he discovered about yoga, its origins, and its philosophy. 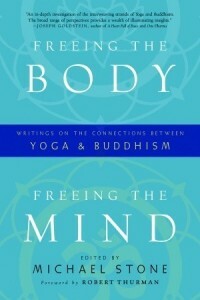 The chapter Yoga Techniques in Buddhism makes some controversial claims about the links between the Buddha’s teachings and yoga and some interesting ones as well. Many modern yogis are familiar with Patanjali’s Yoga Sutras, a classic text that dates to 400 CE. There are many modern translations of Patanjali’s 200 short, cryptic aphorisms about the practice of yoga, including Iyengar’s. (See this post from yoga practitioner and teacher Carol Horton for reviews of two published recently.) But none of them discuss specific postures, or asanas, because Patanjali specified none. Another classic text is the Hatha Yoga Pradipika (or Hathayogapradipika), which has come down to us as a text compiled in the 15th century from earlier sources. It includes some instruction about postures among many other topics. Reading and trying to comprehend the Yoga Sutras and the Hathayogapradipika is not for the faint of heart. 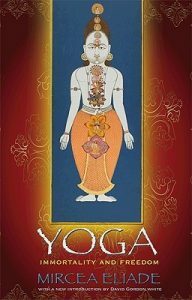 For a brief introduction to the vast topic of yoga (and some information on its links to early Buddhism), the following books and articles are useful. Singleton, Mark. 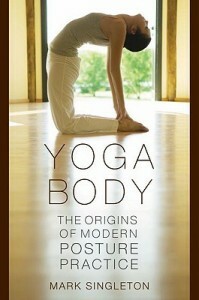 Yoga Body: The Origins of Modern Posture Practice. Singleton’s purpose is to show how modern posture practice, that is, what modern yoga studios teach, originated in the last several hundred years. Singleton takes a scholarly approach modern yoga’s history, beginning with the first European exposure to yoga in the 17th century through the separation of postures from yoga during the 18th and 19th century, and the reemergence of posture practices along with the physical culture movement of the late 19th and early 20th century. He ends with Krishnamacharya, whose two famous students Pattabi Jois and B.K.S. Iyengar virtually defined modern yoga in the 20th century for Western audiences. Mallinson, James. A Response to Mark Singleton’s Yoga Body. This article challenges some of Singleton’s points. Mallinson has studied hatha yoga texts dating back more than a thousand years to try and understand the word asana, or posture, and finds in the texts he has studied that prior to about the 10th century it meant nothing more than a posture for seated meditation. Simpson, Daniel. Why practice postures? Simpson is a yoga scholar as well as a practitioner. In this brief article he discusses the ancient meaning of asana, as well as the links between early Buddhism and ascetic practices that included contortions and postures. Stone, Michael, ed. 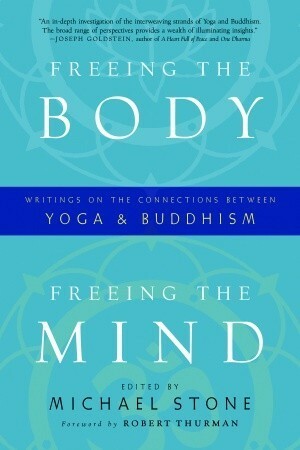 Freeing the Body, Freeing the Mind. No matter what he called it, the Buddha engaged in ascetic practices we might now associate with yoga. He reached the high states of awareness that yogis strive for but realized there is a step further from such concentrated consciousness. Commonalities in the traditions are explored in this book, an essay collection edited by a yoga teacher and psychotherapist who has also studied Buddhist meditation. “What if our religion was each other/If our practice was our life/If prayer, our words/…What if meditation was our relationships/If the Teacher was life/If wisdom was self-knowledge…” An example of this comes in the chapter “Meditation is Life,” in which White emphasizes that asking how to meditate misses the point. Although he gives a few useful techniques, he stays away from a dogmatic approach that prescribes exact methods. As he says, “Meditation cannot be taught, but meditation can be learned.” It is in practicing awareness in all our actions, as much as we can at all times, that we learn how. Highly recommended. I’ll return to it often.